Does one simply need a better paying job in order to improve their credit score? No. Financial experts from all over the world agree that applying good Credit Habits is the only way of attaining and sustaining excellent credit scores. When you have ideal credit practices, you’ll avoid bad debts and get the best interest rates for your auto loans and mortgages. Are you embarrassed by your poor credit ratings? Start applying these 8 Credit Habits right now! 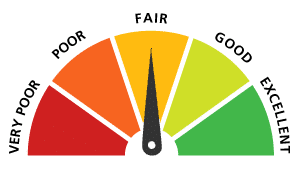 Start applying these simple steps to getting a good credit score! According to FICO (Fair Isaac and Company), your payment history constitutes 35 % of your entire credit score. This applies to both secured and unsecured debt. Paying all your installments on time attracts the lowest interest rates on your auto loan, credit card, or mortgage EMIs. Do you have pending EMIs? One way of ensuring you pay your installments on time is by setting payment reminders. Simply go to phone’s calendar and set a reminder one week before the payment date. Better yet, go to your bank and apply for standing orders. This ensures that your creditors still receive payment on time even when you’re on a business trip or a family vacation. Financial discipline dictates that one should use their credit card only when it’s necessary. However, most people substitute their purses with credit cards. For instance, choosing to pay for recurring groceries expenses with a credit card instead of cash. This unwise credit spending has two disadvantages that directly affect your credit rating. Financial experts advise debtors to use 30 % of their credit limit. When you go beyond this limit, by choosing to pay for recurring groceries expenses with a credit card instead of cash, it reflects badly in your credit report. It’s easy to spend above 30 % when one pays for their monthly groceries, salon, and utilities using a credit card. Second, all these unnecessary credit card expenditures can push you to unmanageable debt. If you have a high-interest mortgage and pending student loans, adding unnecessary credit expenditures can corner you in a bad financial position. Do you sometimes push off repaying small debts on time because you feel like you don’t have enough cash? Well, it’s the mind playing tricks on you. Money is a valuable commodity and that’s why your mind does anything it can to retain it. However, when you don’t pay your debts on time, your credit score dips. While paying off all your pending payday loan installments might leave your pockets empty, you can survive for a couple of weeks until your next paycheck. If improving your credit score means denying yourself a few weekend treats, then it’s worth it. You can ride the subway train for a couple of weeks in order to use your monthly gas money to clear off small debts. Why is it important to use just one credit card? First, it builds a long and credible credit history. When potential creditors download your credit report and notice that you’ve used your current credit card for at least five years, they feel confident about lending you credit. Plus, it earns you affordable interest rates. When you apply for several credit cards, you lose points whenever a potential creditor performs hard inquiries at credit reference bureaus. Each inquiry costs five points. How often do you download your credit report? Smart debtors download their credit reports monthly for two important reasons. If you’re currently in a long-term debt, you need to know how often your creditor reports your debt status. If your credit ratings improve after every 90 days, it’s a good sign that your creditor updates credit reference bureaus monthly. You also need to download your credit report to confirm whether former creditors reported your cleared debts. Sometimes when a car buyer request for a balance transfer in order to pay their auto loan using a credit card, an auto loan provider may fail to report the new debt status. Payday loans may seem like the best solution to unexpected emergencies or temporary cash shortages. However, payday loan creditors make a kill by charging exorbitant APRs and high late payment fines. When you borrow multiple payday loans within a short time, the high EMIs soon catch up with you. What’s the best alternative to borrowing payday loans? Having an emergency savings account. This is actually better because your money accrues interest in the bank account. Plus, you don’t risk your credit score through nonpayment because you’re spending money which you already saved. If you hate paying high monthly installments, you can reduce them by paying a large cash deposit for credit purchases. Car dealerships allow buyers to pay cash deposits upfront to reduce monthly auto loan installments. When you pay a huge deposit, it reflects in your payment history. Remember, your payment history constitutes 35% of your credit score. Start by saving up every month until you raise at least 40 % of the item’s buying price. You may need to make a few lifestyle adjustments in order to have enough net income but it’s worth it. The lower your EMIs, the faster it is to pay off your credit. Are you currently struggling with credit card payments that are largely your cosigner’s responsibility? For instance, when you’re using a joint credit card with a spouse who regularly goes on shopping sprees without giving thought to the bills. Perhaps you’re regretting adding your teenage son or daughter as a cosigner to your credit card due to their reckless spending. It’s about time you stood your ground. The more you stay quiet, the more bills you’ll have to pay. When you miss a payment and the credit company reports this non-compliance, your credit score dips significantly. That’s irrespective of who did or didn’t use the credit card. Improving your credit rating starts with you. When you pay your EMIs on time, you improve your payment history and this goes a long way in earning creditors’ trust. A good payment history improves your credit rating.